There is a lot to be said for a home that encompasses relaxed elegance. The truth is, it's not easy to pull off. There is a risk of looking far too comfortable with overpriced and out of place appointments. You have seen it before. There are plenty of tips and tricks for adding quick fixes to a room, to create a relaxed and elegant look. Pay no attention to them, it can't be done with new curtains, silk pillows and a Saarinen table. Learn from those who do it right! Mary Clark is the owner of the home above, she also owns a furniture store with Jessica Hawkins. 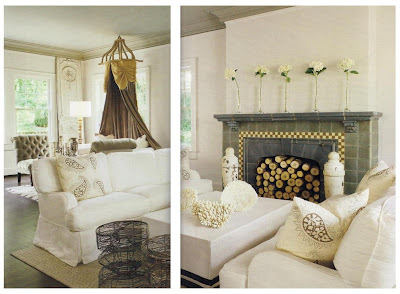 Together they thoughtfully decorated Mary (and her husband's) Alabama Home with simplicity, luxury, and comfort. Their love of furnishings old and new, vintage and modern is evident everywhere, and the mix couldn't be more magical in this Mountainside home that takes inspiration from a a beach house and all Swedish design. The subtle details make all the difference in the world ! Ebony stained floors, a ceiling and mouldings that are painted out in charcoal gray, and a room blessed with plenty of natural light, fill the space with ambience that cannot be found in an object. Rich fabrics to contrast neutrals makes a wonderful statement, Above it's silky blue velvet, so inviting set on Vintage swedish chairs. The Saarinen table and Zebra rug are playful choices , that add to the feeling of facility. The crystal chandelier in all it's sophistication, absorbs light, and is not so weighted in this formal dining room. 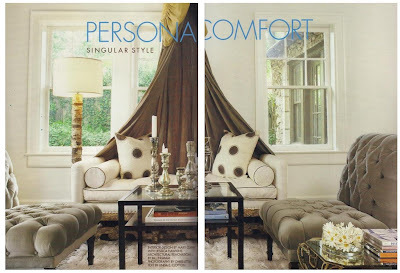 Slipcovers everywhere create ease of living. Natural and organic linens cover dining chairs, sofas & bedding. 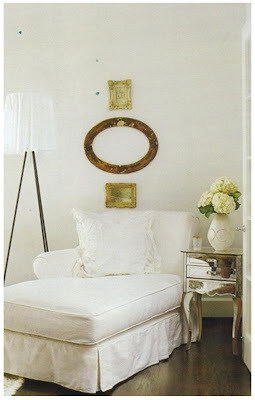 Creamy whites always look clean and crisp, and inviting. Also notice the lack of window converings. There are no floor to ceiling panels, or anything that allows for shade. 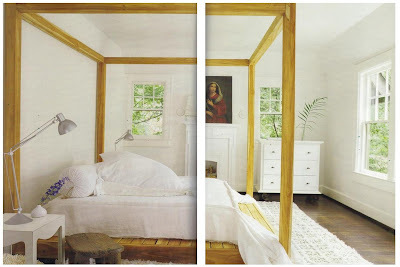 But outside every window, there is greenery, that adds rich colours and depth to each room. Beautiful Flooring ! Concrete with oak inlay set on an angle for an incredible effect. 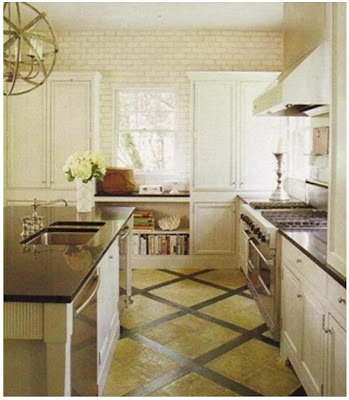 White cabinetry and subway tiles that extend over cabinets is very clever, and doesn't compete with the dramatic floor. 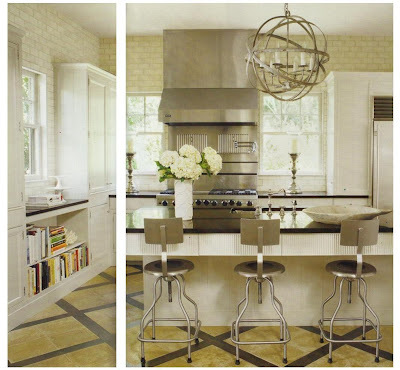 The light fixture in this kitchen is FABULOUS! This armillary style lighting balances all the steel elements in this room, and is so interesting. The scale and intricacy, beautiful circular rings make it an admirable work of art. It's a wonderful contribution to this very simplified Kitchen. Original Story by Linda E Clopton.